It’s time for Handmade Monday #119. 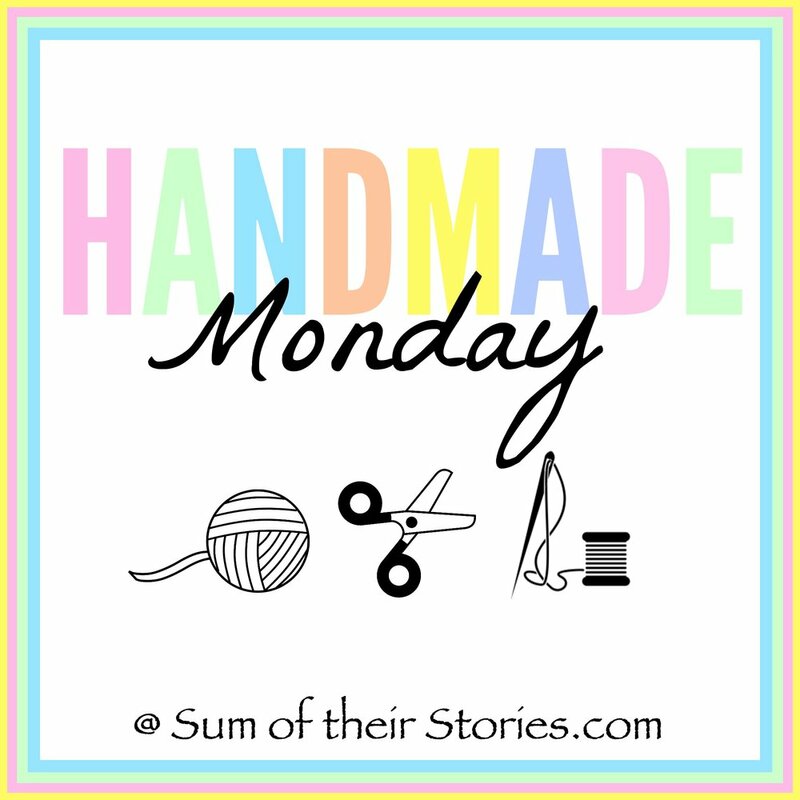 Handmade Monday is a craft link that we run weekly here at Sum of their Stories. It gives creative bloggers a chance to share up to 3 projects (we love to see new ideas but old projects are welcome too) which gives us all a chance to have a nose about and find some new ideas for our ‘to do’ lists. First up I have to say a big fat SORRY! Just last week I’m all “let’s not worry about changing to the new style Link Up just yet” and then today, when I go to create this weeks linkup I see that InLinkz will not be allowing any old style link ups to be created after 1st April (and it’s not an April Fools joke either!) So I’m sorry to mess you all about but from next week we will be on a new style Linkup. I hope that doesn’t put anyone off, they are pretty straightforward once you get the hang of it but you do need to sign in to InLinkz with something, I use my google account. One you’ve done that they are actually quicker and easier than the old style. My week has been busy busy, a bit of sewing, a bit of embroidery, a few failed ‘tidy up my craft stash’ attempts, the usual stuff! I also grabbed the chance to visit the Knife Angel which is on display outside Coventry Cathedral at the moment. It really is the most extraordinary piece of public art and is being called the National Monument against Violence and Aggression. It’s been made from over 100,000 knifes taken from Police amnesty bins from all over the UK. You can read lots more about the project, how it was made, where it’s going next etc here. Let’s take a peek at the features from last week’s Handmade Monday. Please click on the photos to go through to the original posts if you want to pin any of these ideas. These stenciled mandala cushion covers from My French Twist are just lovely. Such beautiful colours too. 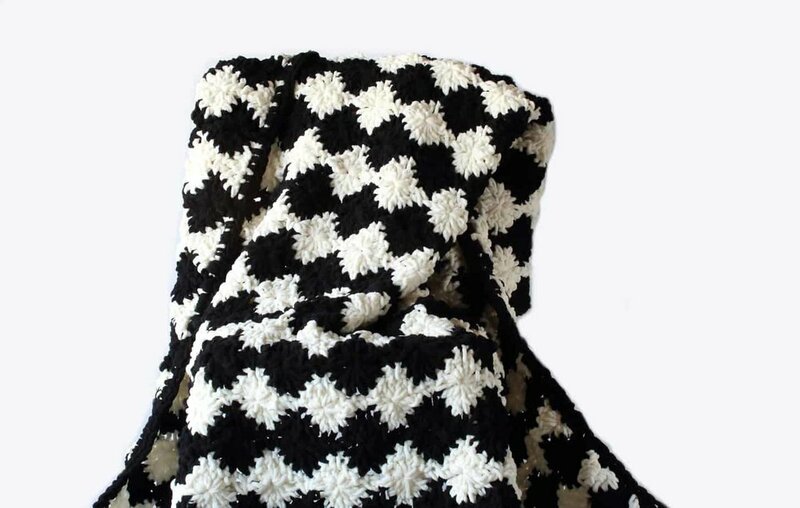 The Blue Elephant’s gorgeous monochrome crocheted blanket is just so stylish and modern as well as looking SO squishy and comfortable. Did you know we have a Handmade Monday facebook group. It’s not a massively overactive group, I let the group each week when the link up goes live and if I come across anything I think might be useful or interesting for my fellow Handmade Mondayers I’ll share that too. It would be nice for it to be a little bit more active, maybe if other members felt able to share things they came across that would help the others to it could be a more helpful to us all? Anyway if you are not already a member do send me a request, you can find the group here.